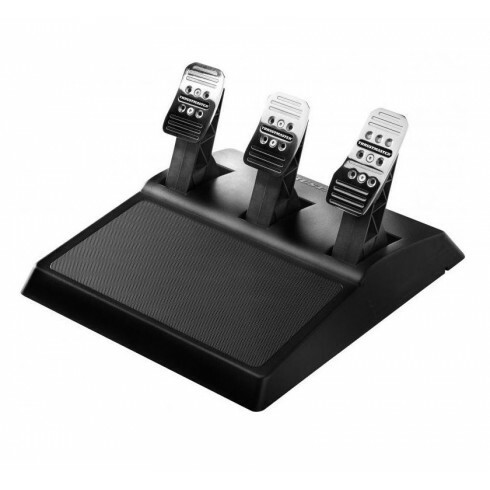 The Thrustmaster T3PA is a high quality 3-pedals wide pedal set. The pedals and internal structure are completely made of metal. The set is fully adjustable, so every sim racer can enjoy racing with the Thrustmaster T3PA. The pedal set includes optional Conical Rubber Brake Mod and is compatible with the following Thrustmaster racing wheels: T500, T300, T150, TX, TMX and Ferrari 458 Spider. Also compatible with the T-Series Racing Wheels: T500 RS, T300 RS, T300 Ferrari GTE, TX Racing Wheel Ferrari 458 Italia Edition, Ferrari 458 Spider Racing Wheel.